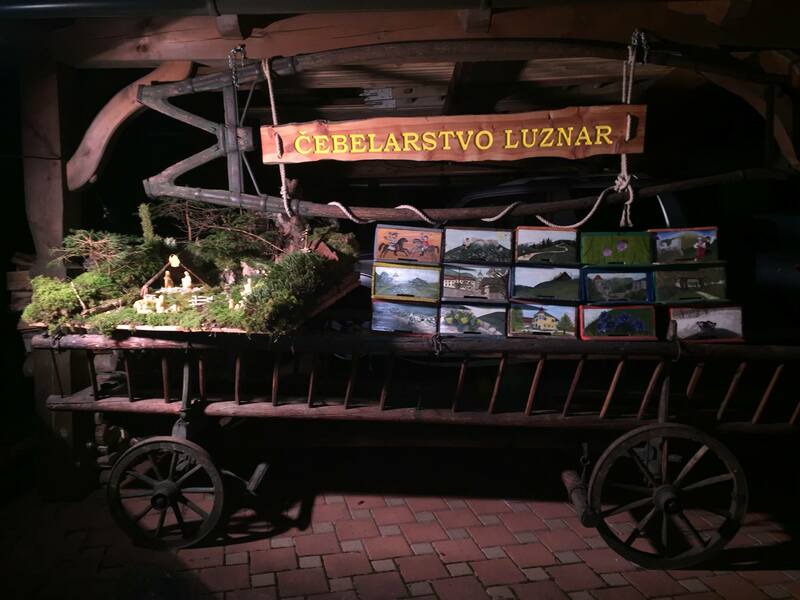 A Celebration of Birthdays and Bees in Begunje! Sunday 20th May, in addition to being the first World Bee Day, also happened to be my birthday. So plenty of reason for celebration this year, even if it wasn’t a ‘special’ birthday (thank god!). 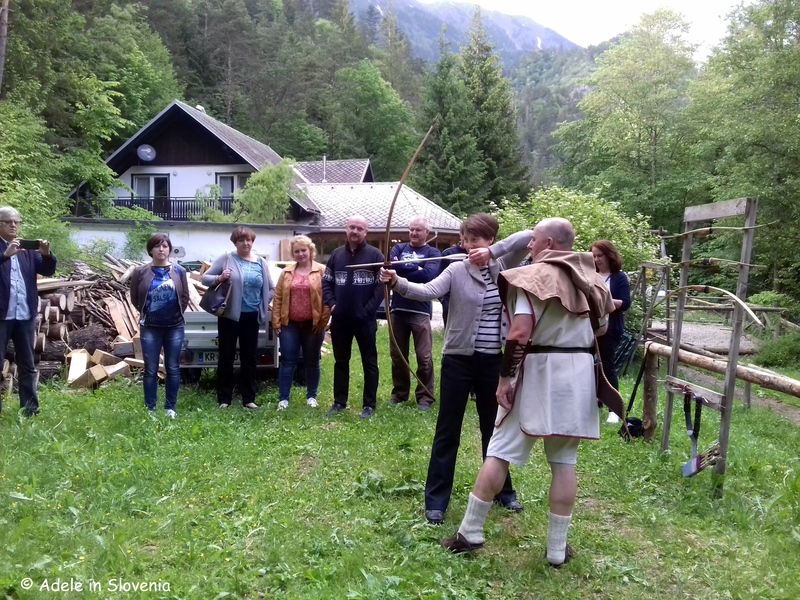 When deciding where to hold a small gathering for friends that would comprise great food, a beautiful setting, something active, and some beekeeping-related, the choice was obvious, it just had to be the Draga Valley in Begunje na Gorenjskem! 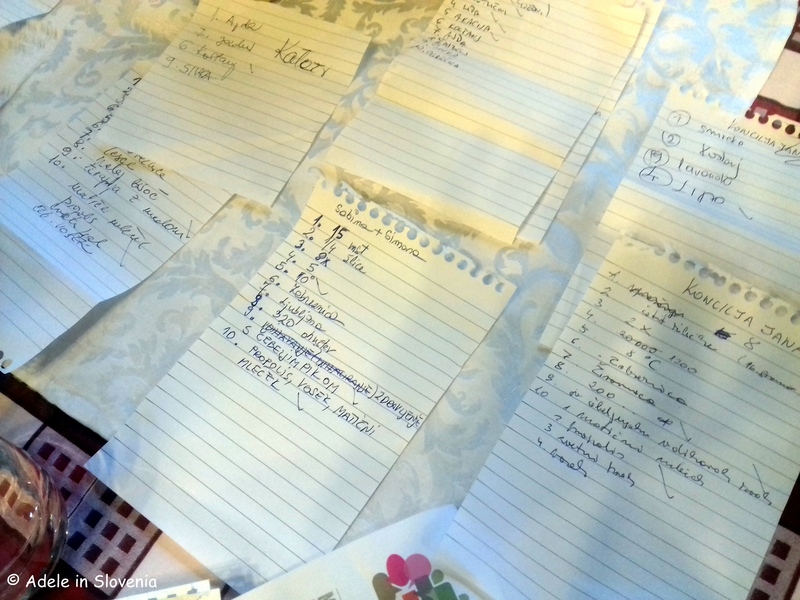 So, I set about making plans and my plans all came together rather well, even if I say so myself! 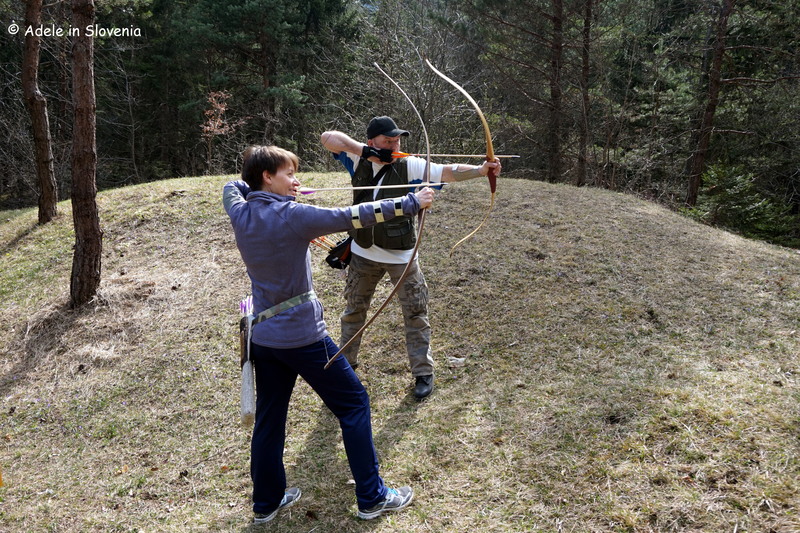 We began with an introduction to archery on the parkour archery course. 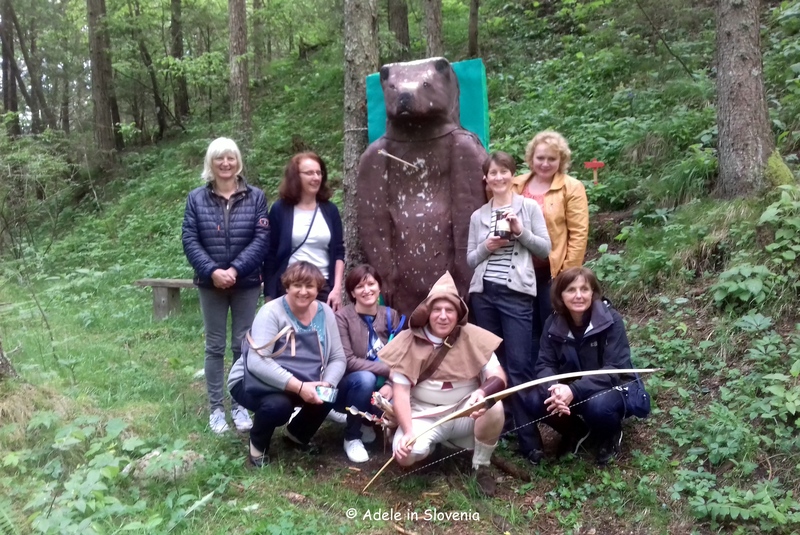 Regular readers may recall, however, that I’m not a complete archery novice, as I went to check out the course last year when I spent a thoroughly enjoyable afternoon under the professional guidance of Robert Levstek. 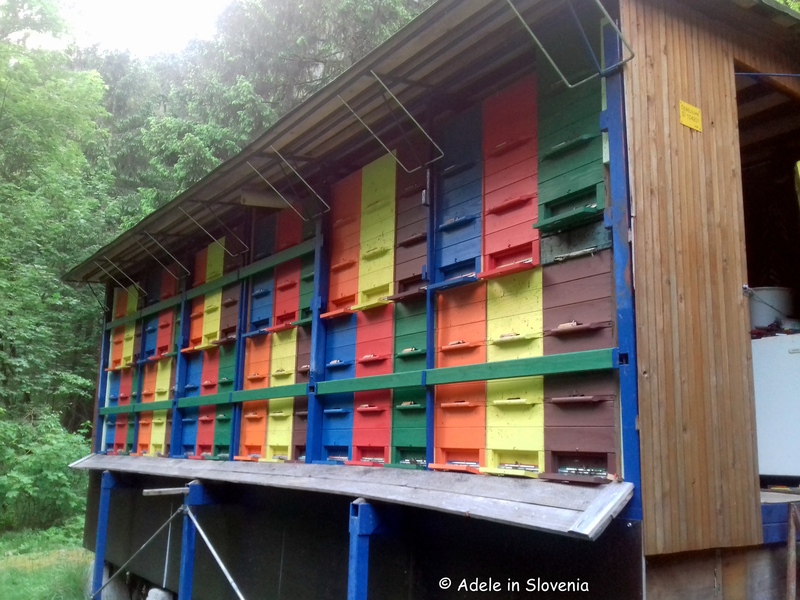 Next came the beekeeping-related part of our afternoon, and for this I contacted the local beekeeper Erik Luznar, who has one of his many hives in the valley. 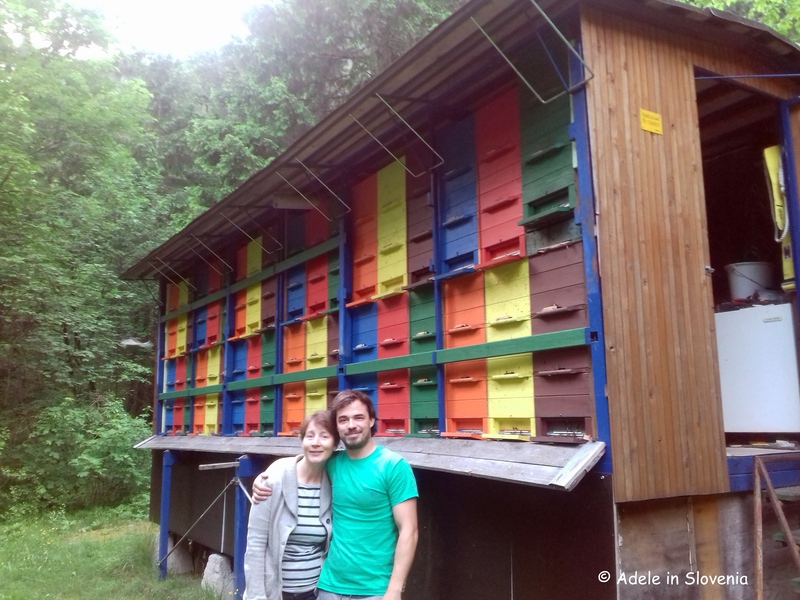 Since the average age of Slovenia’s 10,000 beekeepers is 57, Erik is certainly bucking the trend in this respect, and his youth, spirit and enthusiasm made listening to him waxing lyrical about his beloved bees both pleasurable and fascinating. 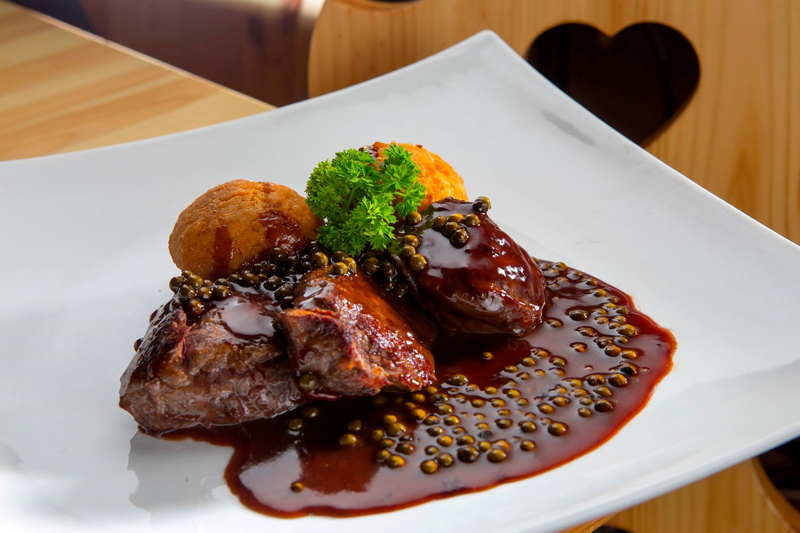 Of course, no good celebration is complete without great food, and in the Draga Valley that comes in spades at Gostišče Draga, one of the participating Taste Radol’ca restaurants. If you want to enjoy a drink or three without worrying about getting home, there are rooms available above the restaurant too! 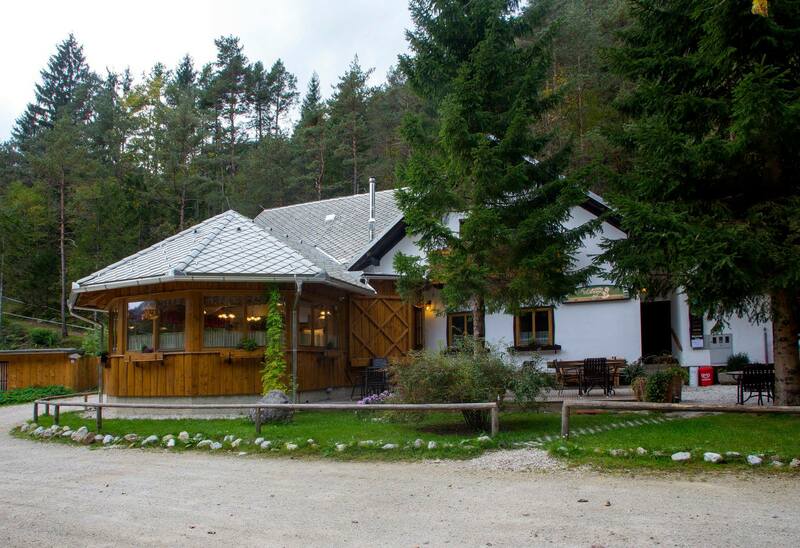 Since the Draga Valley is also an excellent starting point for hikes in the Karavanke mountains, the restaurant is a very popular choice for some post-hiking sustainance, but is equally as popular as somewhere to enjoy great Slovenian cuisine – in summer in the cool of the garden next to the stream, in winter next to the roaring wood burner. 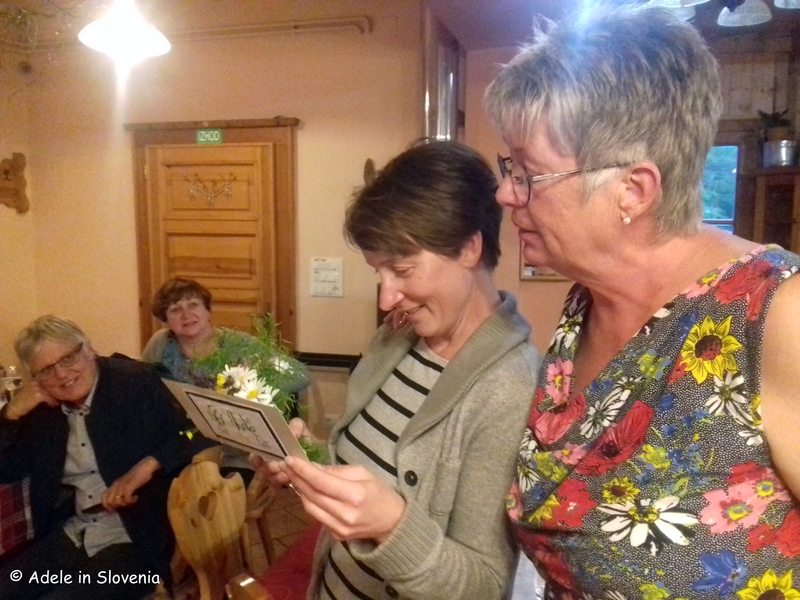 Continuing with the honey theme, we dined well on dishes such as rumpsteak in pepper and honey sauce, štruklji with honey, and other savoury delights, and not forgetting a cake, too! 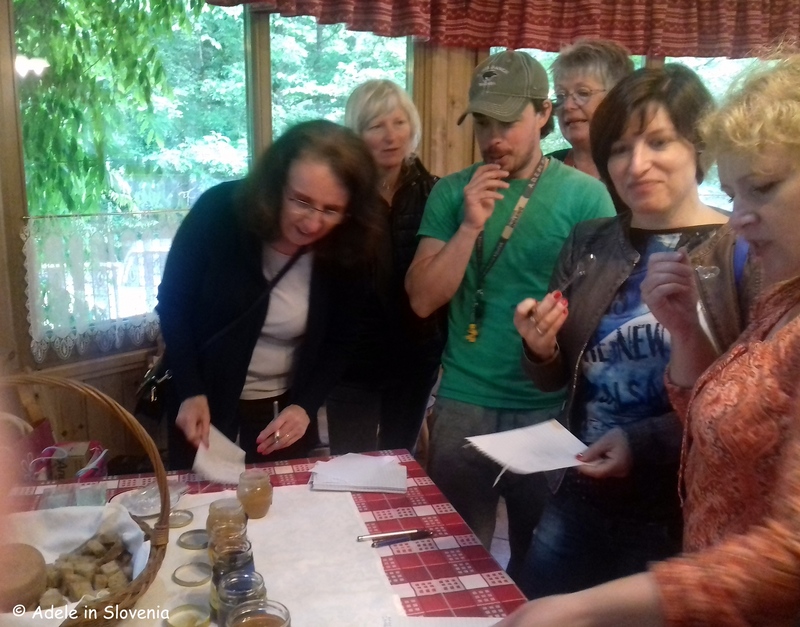 For an added twist, throughout the evening there was a chance to taste many varieties of honey, with the aim of guessing which was which. 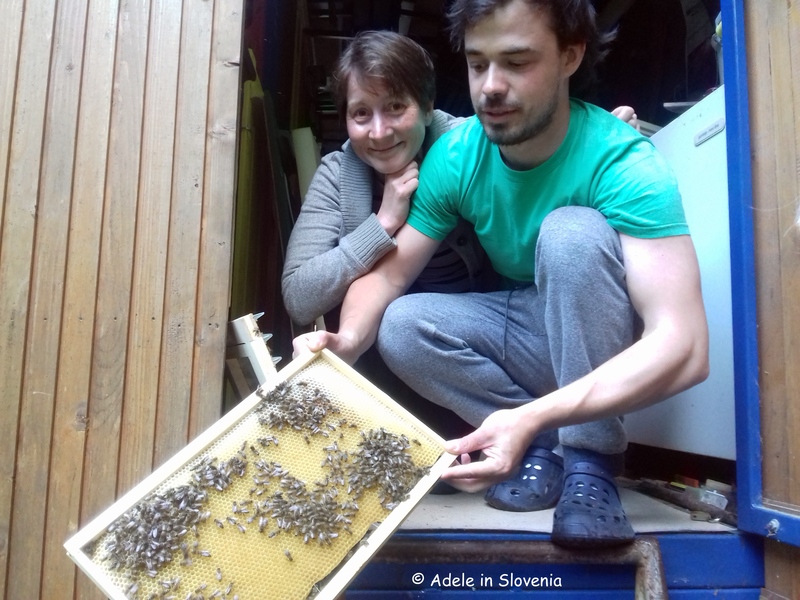 Then, to see how much we had all taken in from Erik’s educational session, I had prepared a quiz about Slovenian beekeeping, too! Of course, this meant a bit of work on my part too. 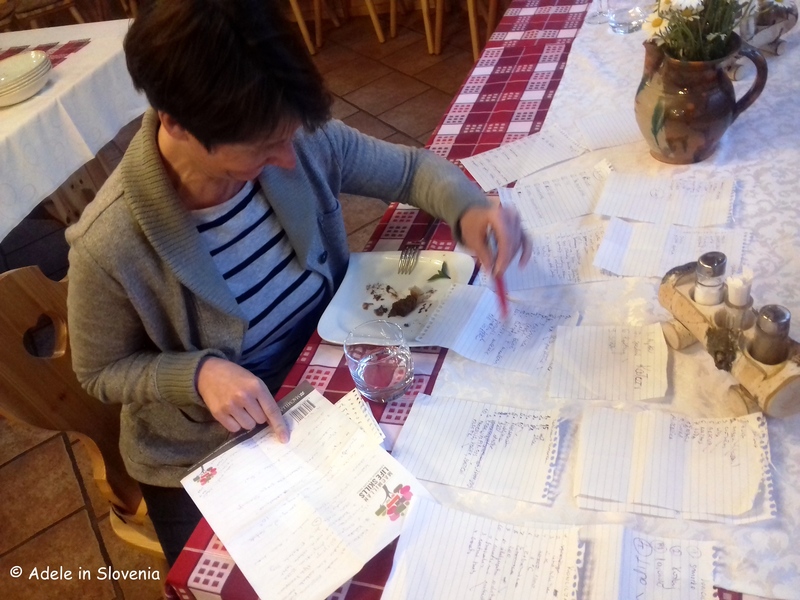 I felt like a school teacher marking tests! For the perfect end to the evening, I was given some lovely birthday gifts, including vouchers for massages (can’t wait Simona Slegel!) 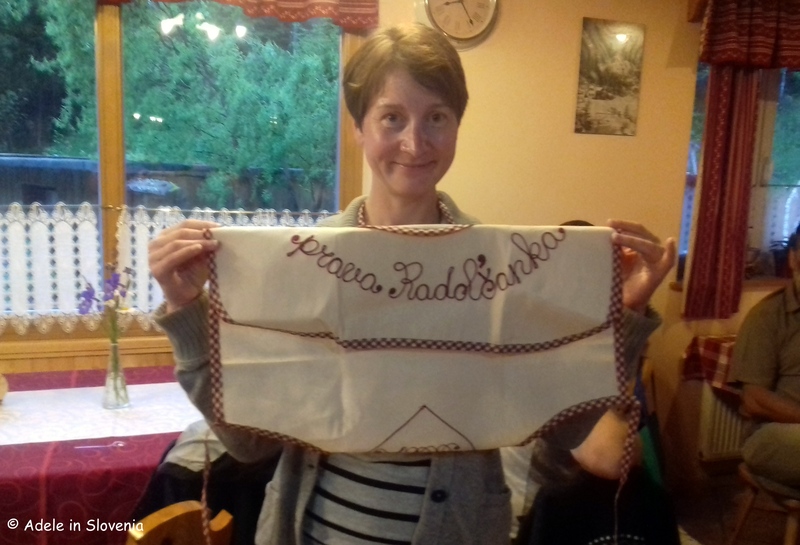 and this hand-embroidered apron that reads ‘Ta prava Radol’canka‘. 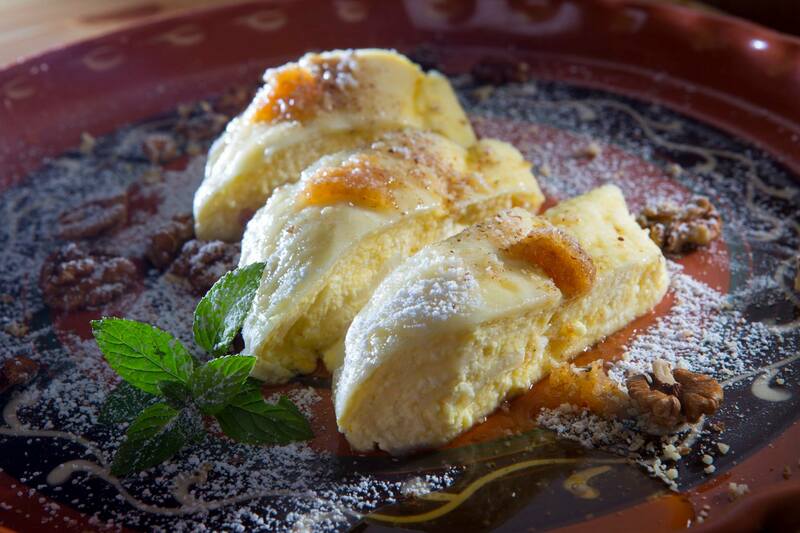 Radol’canka is the word used for a female from Radovljica, so it reads ‘A real Radol’canka‘! 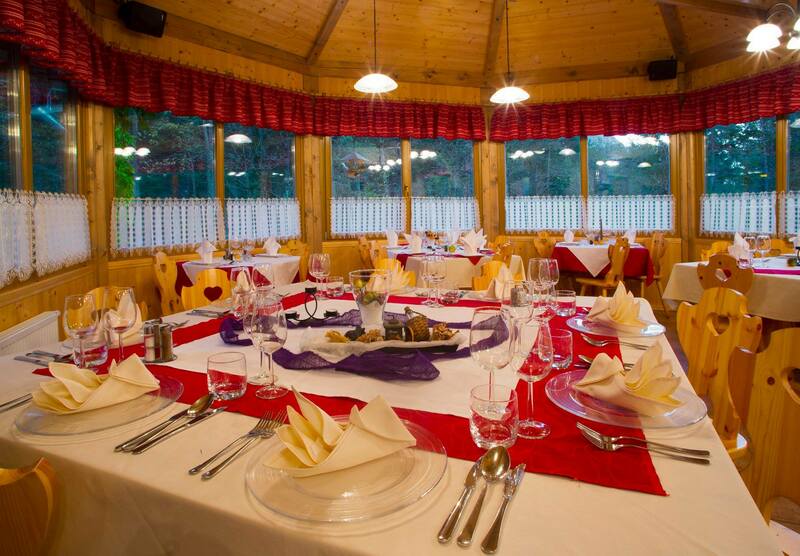 So, as you can see, the Draga Valley is a one-stop destination for active and tasty outings, and with a bit of added ingenuity and forward planning, a great place for group celebrations and events. Thanks to everyone who contributed to a lovely evening!